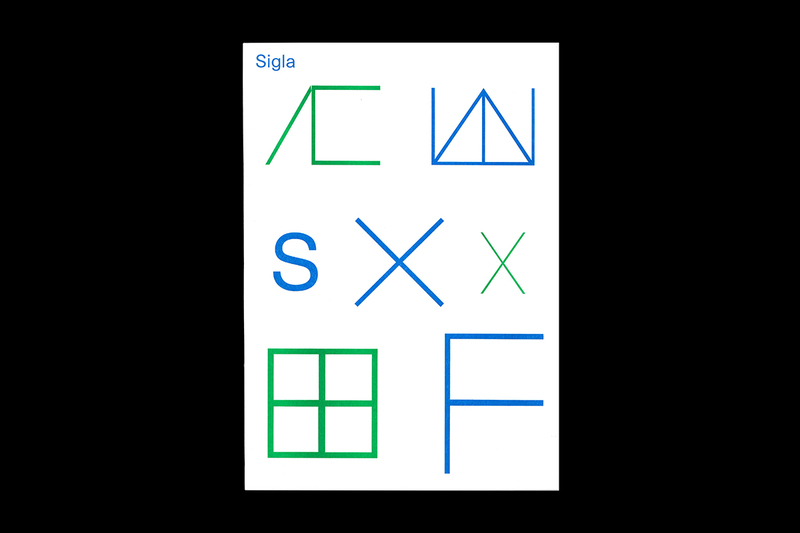 An exhibition of prints from Sigla are currently on show at Village Books in Leeds. Sigla seeks to examine written language, meaning and ambiguity through a set of typographic glyphs which the Irish author James Joyce devised for his novel Finnegans Wake. Risograph printed in two colours by Knust in Nijmegen, the Netherlands. Hand-sewn using green and blue thread (25 copies in green, 25 in blue). Published by Jordskred. The exhibition closes on 14 May, 2017.